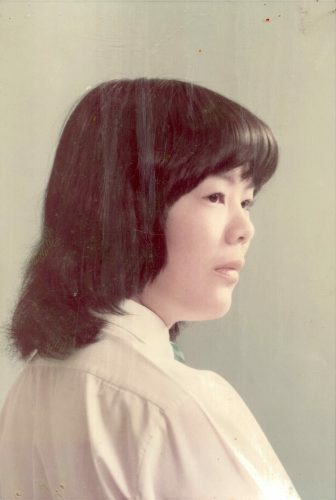 My mom passed away earlier this year just before Chinese New Years’ and it caught everyone by surprise. My mom was just 66 years old! Just the year before, she was struggling with her weight – she was loosing a lot of weight after a holiday trip and she was quite ill and that was worrying. I felt that something was not right but it was not enough to worry me. 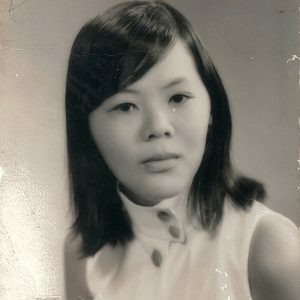 The last time I saw her was on a wedding dinner that I had to attend with my parents, just 2 weeks before her passing. It was my cousin’s wedding. We were all dressed up and my mom looked weak but stunning in her dress. Friends and relatives complimented her and not to let them down, she told everyone that she was on this fabulous diet plan. The wedding was great and I remember talking to my mom as I was sitting next to another cousin, who brought her two kids with her. One of the two is a boy and he was quite a handful. He was running all over, tugging, playing and was up to all sort of mischief on the dinner table. My mom turn to me told me that, “When you were as young as this boy, you were just like that. You were really naughty.” She said it with quite a bit of nostalgia and love. When I said good bye to her that night, it would be the last time I ever saw her. 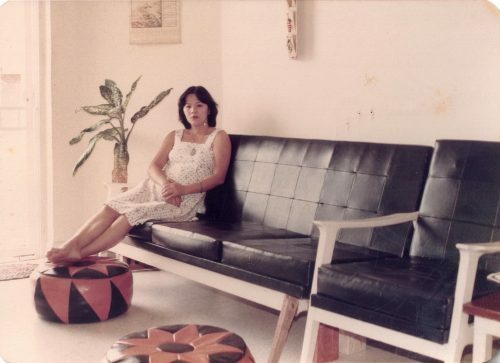 My mom was a strong-willed and insecure little person. She had very strong opinions about people, politics and what she wanted to do. Those qualities combined with my teenage angst made our relationship strained especially during my teenage years. Nevertheless, I love her, needed her financial support and often just went along with her or tried to appease her as much as I could. In the years as a young adult especially since I started working with Kechara, my relationship became better and better. The turning point came when I moved out of my home and lived on my own. 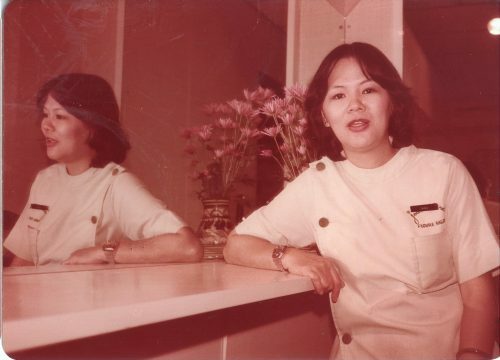 My mom used to work as a beautician in her younger days. She was sent to Japan for training in this field. Her regret was that she didn’t further her studies when she was younger and often admired those who did. 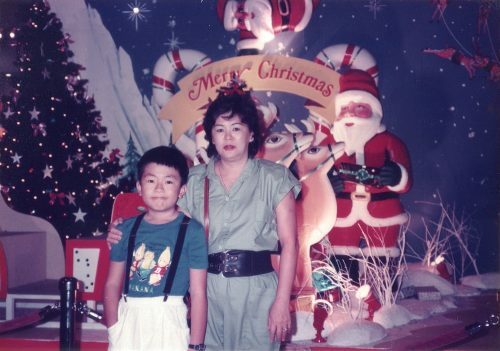 I was told that when my mom had me, she ran into some legal problems with her employer of unlawful dismissal. She had that along a whole host of other problems and that was how my mom recalled her time when she had me. That experience scarred her and she did not want to have another kid. 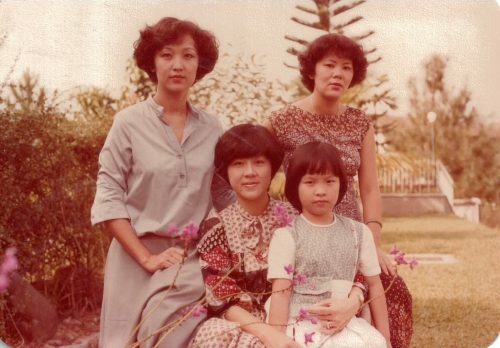 This picture is of my mom standing next to her sisters and her niece. Just after several weeks of my mom’s funeral, I came across a chest full of photo albums. Many of which are taken during holiday trips over the years. 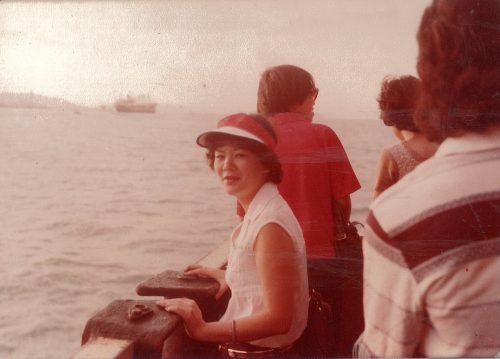 However, there is one worn out album of my mom in her youth alongside family and friends. 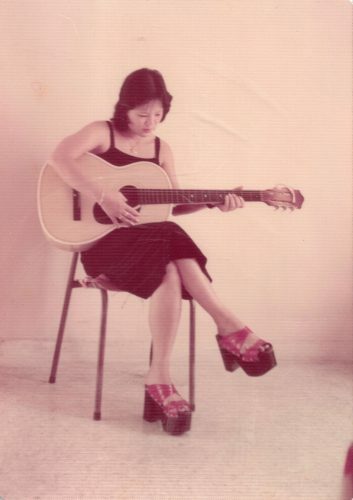 I vaguely recall seeing these pictures years ago in my youth and had forgotten how pretty my mom was when she was young. We were all young and beautiful once until age catches up. I selected a few of these pictures and scanned it in and have included them in this blogpost. There are 3 generations here in this picture. 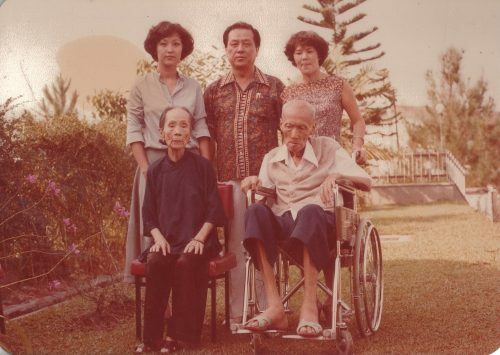 There’s my great grandparents who are seated in the chair and wheelchair respectively and the man standing in the middle is my grandfather along with my mom and my aunt. Several years ago, my mom told me about some strange dreams she had of her family. She was particularly close to her grandmother (seated in the chair) and when she passed away, my mom dreamt that she came to see her one last time. She waved goodbye and floated skywards while holding onto a Chinese umbrella. 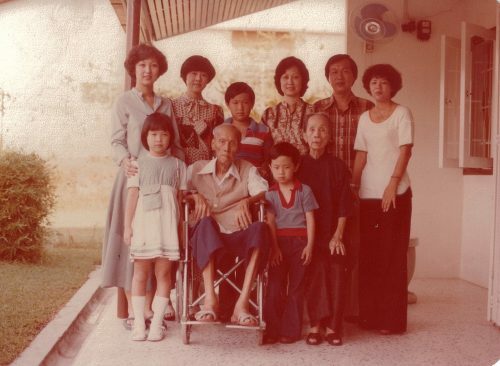 Years later when my grandfather passed away, she dreamt that my grandfather came to see her too. He looked confused but was silent. Without saying a word, he showed his arms and they were covered in animal fur. I asked my mom what she thought was the meaning of her strange dreams. She said she didn’t know but she said that she knew where they have gone. I told her that her thought was strange because it didn’t match Christianity. She was dumbfounded but I didn’t pursue the discussion. I brought up the subject of the dream again, just several months before she passed away. She didn’t argue with me about this, which was surprising. She was still not receptive to a different perspective but respected me enough not to reject what I had to say. I was hoping it would trigger her to think deeper. 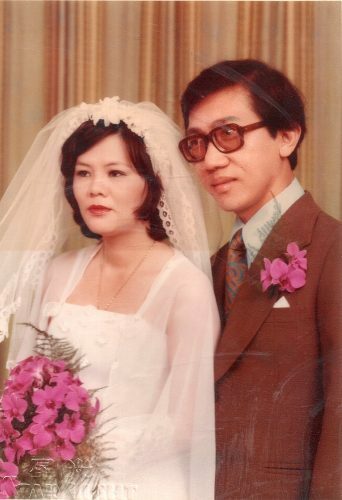 I had never seen this wedding portrait of my parents before. She probably had misplaced it within the other wedding photos that she had. From what I knew, my mom got married against the wishes of her father as she did not want to marry just another rich suitor that came her way. 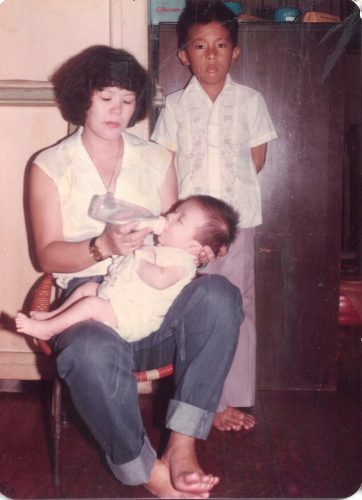 My dad was a simple, sweet, unassuming and above all, not a rich guy. He did not have the usual demands that a rich family wanted out of their daughter-in-laws. These baby pictures of my mom holding me as a baby felt surreal to me because it’s hard to relate being a little baby. 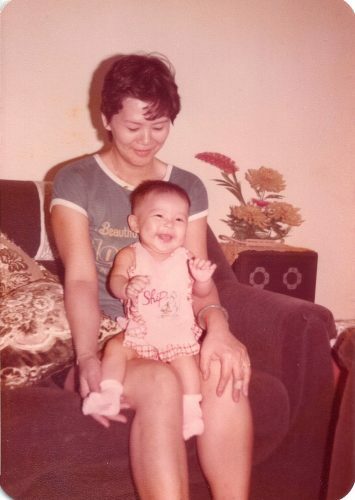 As a kid, I was told by my parents that I was boisterous, inquisitive and talkative little kid. I wouldn’t stop talking and loved to talk. I also had a passion for reading and telling lots of things to my parents. But my mom always wished I had been a girl and not a boy. She wished that because always felt that a girl would always be more helpful with housework and would be more filial. I am really bad with house work but in a way I did my best to be a filial son through other means. This is one of the last pictures I took of my mom just a month before she passed away. Out of the blue, rinpoche said that it was time and he asked me to pass her this framed picture of Green Tara. 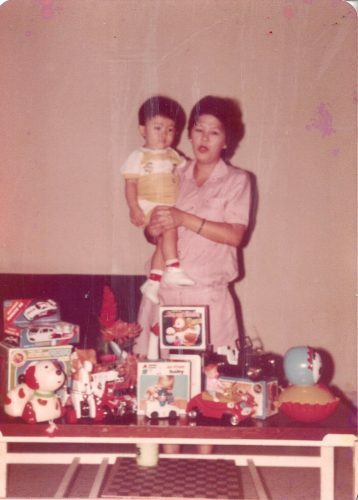 Actually, over the years that I was in Kechara, Rinpoche had been generously giving a lot of gifts to my mom but all of these were not spiritual in nature. I hesitated in giving her this picture of Green Tara as I wasn’t sure if she would accept it. I deliberated and finally, I decided to just give it a shot. I explained to her that it was a gift from rinpoche and it was not meant to convert her and that she didn’t need to pray. I was relieved that she accepted and so, I triumphantly took this picture. Rinpoche told me before that if my mom was Buddhist, she should pray to Tara as she has special affinity with her. In hindsight, I guess the Tara picture was a final blessing before her passing. On the 29th January 2016, my mom who having high fever, woke up in the middle of the night, walked into the toilet and passed out in the washroom. My dad heard the noise she made, went over to help her clean up and helped her back into bed. When she was in bed, she fell unconscious and passed away. My dad was distraught and tried to revive her but to no avail. He called Carmen and she arranged for paramedics to come and resuscitate her but she had already passed away. I was informed before the paramedics came and was about to do a Tea offering prayer for her but Rinpoche called me to join him instead. When I arrived at Rinpoche’s quarters, news came in that my mom had passed away. Rinpoche later told me that when he saw me, he also saw my mom and she was smiling. He quickly called Carmen on the phone and asked the phone to be placed near my mom. Then he spoke to my mom, telling her to let go and that my dad and I are alright and there is nothing to worry. It was meant to calm her down and instructed her that when she was ready, a man in robes would come to take her away. Naturally after that, I had to arrange the the police report and funerary arrangements. Funeral pujas were made and I recited 10 malas of Dorje Shugden’s mantras a day for 49 days to ensure she had a good rebirth. 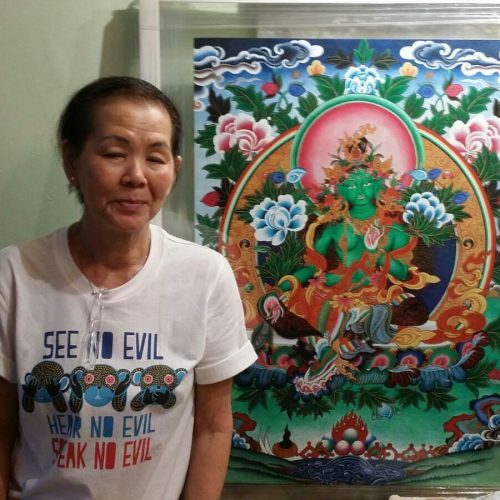 On the night of that last Dorje Shugden puja that was done for my mom, my dad had an auspicious dream that seemed to indicate that she had taken rebirth. I was really happy to hear that and it was especially hard for me and my dad because it happened so fast and its hard to loose someone so quickly and without any warning. But I am glad that I am in Dharma as I have some merits to dedicate for my mom. I will miss her and wished she had lived a little longer. 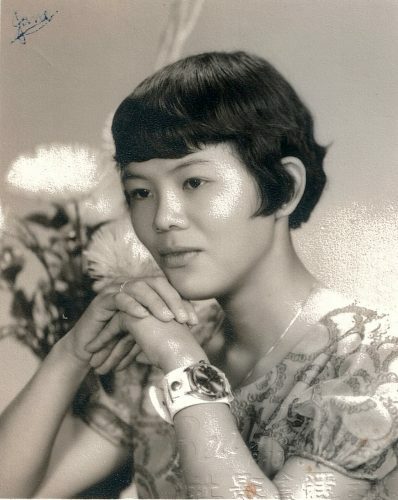 Thank you Pastor David Lai for this beautiful write about your Mom. It is very sudden for everyone to receive this sad news, but nevertheless is lucky that during this very important moment she has Rinpoche who will help her to go through her bardo I m sure she will be ok. This is such a poignant read. Made me teary a bit. I thank you for being so courageous and gracious in sharing such a personal story. While my heart feels for you, I am glad to read about the auspicious dream your Dad had that seemed to indicate that she had taken rebirth. This shows that Dorje Shugden puja is very powerful and is especially helpful during Bardo, even if the person is of a different faith. Your story just made my faith in our Protector grow even more as it gives me hope that my loved ones are also under His care and protection. Knowing this will help me cope better when my time comes and when I am faced with the death of someone dear. This is such a touching and heart-warming sharing. Like Sharon, I too a bit teary when reading it. 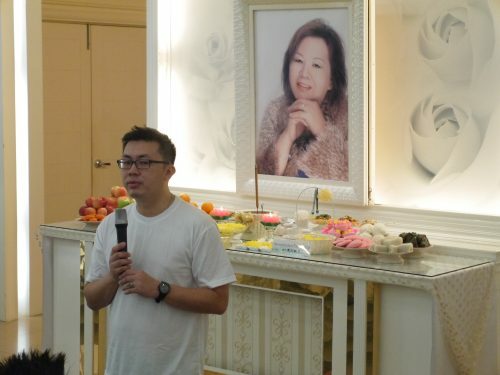 The sudden passing away of your mother, Pastor David, is the solid proof of the impermanent nature of this life. We learnt of it everyday yet it is different when it happened to our own loved ones. 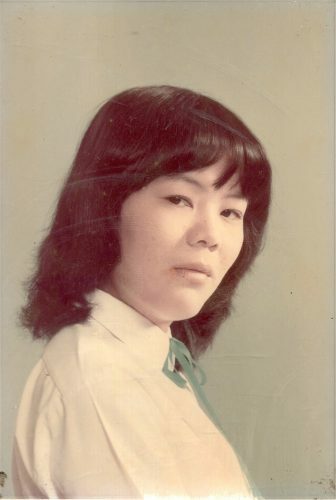 Looking at all the beautiful old photos of your mother, we can see very clearly that she loved you very much and taken very good care of you. All mothers are heaven-sent. They care for us and to bring us up in the ways they knew best. It is great that you are in Dharma and have so much merits to work directly for Rinpoche. Hence, you accumulate lots of merits and be able to help your mother to take good rebirth in fortunate realm. her and your dad was for dinner around 2007.
she will rest in peace .